“Buyout Imminent” for $3 Tech Stock? Jason Stutman says "Giant Silicon Valley Corporations Are Looking to Gobble Up This Small $3 Firm"
Newsletter marketers love to be able to tout a buyout and promise a double in the stock they’re recommending — they know it almost can’t help but catch your attention… and heck, if the stock’s small enough they might even be able to cause it to double just by pouring a few hundred enthused new investors into the shares. So it’s no real surprise that Jason Stutman is pitching his The Cutting Edge newsletter with a big, bold “Buyout Imminent” headline. “I’ll Send You a $1,000 Check! “You Never Have to Give it Back. I haven’t heard much about Jason Stutman, and this pricey The Cutting Edge trading service appears to be fairly new as far as I can tell — it looks from the marketing materials like they’re trying to recommend stocks with big future potential, probably mostly in technology, that have been oversold. The only pitch of Stutman’s that I’ve covered recently was when he was teasing Opko Health as the “Doctor on a Chip” stock for a less expensive newsletter at Angel Publishing (we covered that in more detail in this Friday File from last month, which I’ve now opened up to all readers if you’re curious)… so he doesn’t have much of a track record yet when it comes to teasers here in Gumshoedom… but let’s see who he’s teasing now, shall we? “After all, the firm doesn’t sign deals with just any tech company. “Microsoft has partnered up with this tiny firm for its earth-shattering technology. “But a deal like this is absolutely huge for this penny stock, which I believe could be worth several billion dollars in as little as a few years from now. “I think investors who act now could make 100%… and that’s just for starters. “Employees are now increasingly mobile, traveling and working in offices all over the world. “On top of that, the employees of a company are not all using the same devices for work. “The amount of different devices used these days, even in one office, is STAGGERING. “There are laptops, desktops, smartphones, tablets, Apple TV, and more. “In short, not everyone is sitting in the same office or using the same devices anymore. “With employees using different devices and working from many different places, it’s becoming difficult for employees to view and share the same files. “That’s because not all of the software they’re using is compatible on every device…. “Its technology lets employees access and share virtually ANY program — on ANY device — from anywhere in the world. “Silicon Valley has no choice but to embrace this company’s technology. “Big tech juggernauts like Microsoft and Dell already are. “Now, the science behind it is super technical. No matter how computer savvy you are, it’d be difficult to understand it. “But I’m so on board with this technology — and its massive potential — that I GUARANTEE this stock shoots up 100% or gets bought out. So who is it? Thinkolator sez that we’re being teased about Sphere 3D (ANY), a company that sells cloud storage and virtualization technology. This is indeed a very small company, and a young one (it went public in 2013, and still has a market cap around $200 million, and most of the revenue-producing parts of the business have been brought in by recent acquisitions), and it has been on a pretty wild ride lately — it’s up quite a bit from the $3 lows of a couple months ago, so it’s more of a $5 stock than a $3 one these days, but it is also well below the $11ish highs it hit almost exactly a year ago. Some of that surge might be coming from Stutman’s ad push in recent days, though it’s a small stock in a hot sector with quite a bit of news flow so it doesn’t take a lot of new attention to make it bouncy. And the $1,000 offer from Jason Stutman is, of course, just another variation on the “you like it or (part of) your money back” spiel — he’s selling two-year subscriptions for $1,795, and he’ll send back $1,000 of that if you don’t have a chance to double the share price in two years. A lovely sentiment, I suppose, but it’s just a partial refund — not a gift of $1,000. If you sign up for a membership in the Stock Gumshoe Irregulars for $1,049, I’ll send you $1,000 too. The shares have been volatile enough, and the company is small enough, that it’s certainly conceivable that it will double over the next two years, particularly if you are also willing to see it drop 50% at some point during that time period. Heck, if Stutman really recommended it at $3 a few months ago he’s pretty close to a 100% gain already. That’s a strained argument that only a sell-side model-obsessed analyst could love, but it seems to reflect the sentiment pretty well. You can certainly make the argument that you think Sphere 3D’s technology is about to take a big leap and bring in new customers, and that their growth could accelerate… but basing your “target” price on 2020 earnings is, of course, beyond silly. “Google’s top executive for its Education Division, Jason Katcher, has commented about this tiny company on his Twitter account multiple times. ‘[This firm] would make for an interesting acquisition,’ says Katcher. He’s personally accumulating shares of this tiny $3 stock too, which is another reason I think Google could already be negotiating a deal with this company. ‘Buying more. Too much upside,’ Katcher says. “Talk about a ringing endorsement. “Of course, he’s not the only one who’s loading up on shares. “Remember, Wall Street banks have recently increased their positions in this stock by 239% in just three months. “That’s more than any other small-cap tech company on the market. Katcher tweets sometimes about his individual investment ideas and did indeed tweet about $ANY a few times — though the speculation about a takeover called out VMWare (VMW) and Citrix Systems (CTXS) (both virtualization pioneers) as possible acquirers. Sphere’s technology is not alone in the virtualization space, of course — their Glassware 2.0 technology seems to be a “container” technology that is in some ways similar to Docker, an open source and hotly-discussed container technology standard that’s being commercialized now, and there are lots of startups in the “container” space. There’s a decent explanation of what Docker does here, an explanation from Sphere 3D of its Glassware container product here, and a piece about a dozen other “container” startups here if you’re curious about getting more background. Sphere 3D has been working closely with Microsoft and its Azure cloud platform, and hosting events at Microsoft tech centers to spread the word — and they did make a deal with Microsoft that lets Sphere bundle Microsoft’s server software with its Glassware virtualization appliance. I don’t know if that’s unique or fantastic, but it’s certainly not bad. They’ve also made some deals in the education space, where virtualization and cross-platform compatibility is a pretty big deal (with schools often using outdated, specialized or inexpensive equipment, like iPads or Google Chromebooks, but having to run specialized educational software designed for different operating systems), but the financial impact has so far been pretty light and it’s still quite early in their rollout — they had essentially no revenue a year ago, and have boosted the top line to about $20 million as of the last quarter thanks largely to a series of acquisitions. And funds managed by Cyrus Capital do hold a large position in Sphere 3D, though that’s largely because they had a large stake in Overland Storage before they were acquired by Sphere late last year — Cyrus also holds some of Sphere’s convertible debt and warrants, so their position really tallies up to about 22.5% of the company. I haven’t seen any commentary from them about their plans for this holding. Cyrus does indeed also hold a large position in Virgin America, it looks like they held that before the IPO last Fall as well but now do control about 24% of the equity in Virgin America. Doesn’t mean much when it comes to Sphere 3D shares, of course, but I guess the point is that they’re not an inconsequential investor. Will Sphere 3D get taken over? Are there huge gains in their future? I have no idea — they were running a bit low on cash recently and did a private placement for about $4 million and also extended some of their credit lines a little bit to add what looks like about $5 million more in borrowing potential, but that’s only a quarter or two of “cash burn” at the current pace so they’re still pretty close to the edge financially. They need more capital if they’re going to continue pushing to roll out their products aggressively and get sales up — that capital will be a lot easier to get now, with a product that seems to be getting some good attention and with real revenues rolling in, but I’d be surprised if they didn’t sell some more stock sometime soon unless revenue starts growing much, much more dramatically. We have a tendency to think of small young tech companies as being cash-rich, but that’s certainly not the case with Sphere 3D — indeed, one of the only things that makes me specifically nervous about Sphere 3D is that they’re not gushing with cash, there are plenty of pre-revenue companies with cloud products that can seemingly raise $100 million dollars or get billion-dollar valuations without even having to say “please” these days, so why isn’t Sphere “hot” and overfunded? Did they just fall through the cracks because they went public in Canada initially, or because they just remade the company through acquisition recently? I don’t know, but it gives me pause and reason to think more about it before getting excited. Sound like the kind of speculative little tech company you’d like to own? Let us know what you think with a comment below. 46 Comments on "“Buyout Imminent” for $3 Tech Stock?" Dr. KSS has shared copious information re $ANY on his recent threads and rendered a positive recent assessment of $ANY as a possible moderate risk, short-term trading opportunity – subject to completion of individual due diligence. software at all in Dr. kSS’ article. ANY, with all appropriate explanations and qualifiers. Thanks Travis I appreciate it. I believe I saw it, but I seem to be getting bombarded from all sides on the next thing that will go through the roof. Thank you. This stock has gotten a lot of attention over the last couple months, I’d say it’s pretty well known for a small cap — a couple acquisitions, a rough first quarter, and their ringing of the opening bell and some investor presentations have garnered some followers in the last few months, though today is the first time I’ve ever looked at them. Also loads of respect to GumShoe if that comment makes it through moderation. Thanks Travis. Jason is at it again with another tease I got today. It concerns a $7 tech stock that is touted as the next iPhone Killer and appears to be a chip manufacturing company that has Microsoft, Facebook, and Google as customers for it’s proprietary chip that will permit a Google-like Aura floating video display completely without an iPhone or complex glasses. Looked intriguing but I’m not ready to pull the plug on his newsletter yet although the price is $99/year on this initial tease. Any interest by you to followup? I’m not sure what this might imply but there have been 16 investor updates since 7/19/2015. Wow… Street cred for sure with your contribution, and your msg respected. What he doesn’t say is that he guarantees the cheque (OK for you septics the check) will clear if you present it to for payment ! Note the very careful wording of the promise. “I’ll send you a $1,000 cheque. You never have to give it back.You can spend it (the dud cheque) however you please” Bovine excrement comes to mind. Skepticism is warranted with any slideshow-promotion, but the checks (if they go out) will not be duds, Peter. I can promise you that. This is really good stuff. Travis doing his thing, Mr. Jason Stutman coming public and explaining his opinion on his added value. That deserves respect as well. This is why I tune in to Gumshoe. A little long overdue applause for Travis from me and a thumbs up for Mr. Stutman adding to the discourse. Gotta love a newsletter guy who comes right up and says hello on Stock Gumshoe. Hendrix… what I love more is Travis’ offer of sending me $1,000.00 if I send him $1049.00 first… touché~ Travis. Now that was well done. Thanks Rick I recently checked out a great soon to be giant This company is the only one I found in this technology of development of a Field Sobriety Test Breathalyzer to show THC level a Canadian Firm Stock Symbol BLOZF now trading at 1.35 Cannabix Technolgies. As someone who has intimately followed $ANY since the beginning, I will echo (haven’t read the newsletter) Stutman’s sentiment RE: Sphere 3D. Not going to pump it, just believe it deserves some due diligence. Jeez, Logan. 🙁 Why did you even bother to make this comment? Cut Travis some slack he just got back from vacation. He missed the rumor while he was gone refer to his post 2179 above, No reason to be so NEGATIVE. Make sure to read through their filings for the past several quarters and understand the fundamentals and what they’re doing — the company is essentially brand new, their revenue-producing businesses were largely added by acquisition so the year over year numbers don’t mean much. 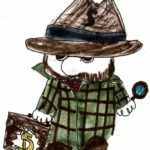 My take on Gumshoe- No absolute recommendations, just explanations and discovery with a take away to think about, and study on our own before making our own decisions. I love the refreshing change here from all the crap hype I get forwarded by friends from the Money Morning coterie! They give a pitch, and a “Read More” button that inevitably leads to a video with half an hour of words before it says anything. I’ve gotten seven (yes, 7!) different messages about this “$3 miracle” (and other labels) from Dr. KM and cohort, wincing every time at the thought of another long video by someone who loves to hear himself talk. But you give it short and simple and to the point! Keep up the good work. This is why I will still be broke when I die. After 24 years, 7 months and 16 days serving in the United States Army, I still haven’t invested in the stock market. I never got a tattoo, although I’ve wanted many and I’ve never invested in the stock market. I really wish I would have studied more when it comes to the markets. I guess I will only have the best advice on how to turn people into pink mist to pass on to my grandson. You guys are like swimming in a waterless pool with land sharks everywhere. Thank you for your service, Richard, and I wish for you the very best of everything. And welcome to the group – I’m glad you are here. business you are referring to. They have a good future. I was all set to buy, but then looked at scamologist. There are some extremely dodgy characters as directors! I don’t know that now would be a good time to get in. There was a bit of jump with the conference and the announcement that their software was in the Windows store. I sold most of my position for a small profit on a two month hold, I’m happy. I still have a small position that I my add to on the dips, but I need to due some research on cloud software first. Something is moving the stock. After going down since July it’s been spiking up last Friday. Any informations here? $Any is currently at $0.30 as of Feb. 15, 2017. Wow! Jason Stutman's tech-focused trading advisory that tries to find breakthrough technology opportunities when stocks are oversold and, he thinks, ready to surge.